Hi! It's been a while, huh? I haven't been posting much because I've been very busy lately working on a rather large project. It's been great, I've expanded my skill set and I am enjoying the work. I am not enjoying the early morning wake-up though. 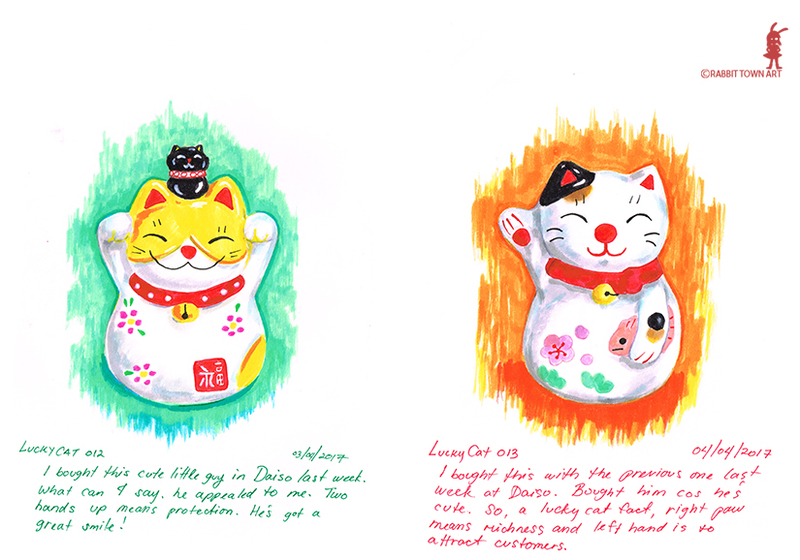 I drew these lucky cats last month. 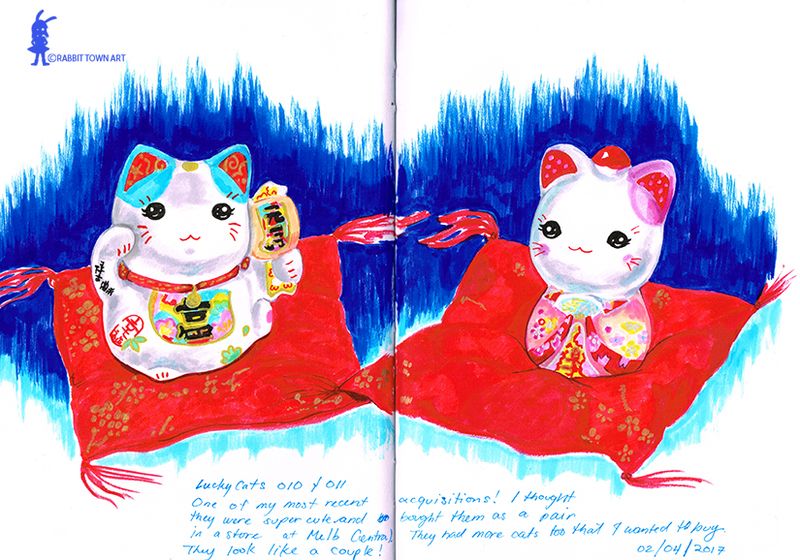 I haven't drawn the last few that I own, [perhaps in the next few days. Currently, working full-time, finished a freelance e-book job and have another illustration job to do as well. I am catching up with friends tomorrow night for dinner and staying over a good friend's house. I'll be meeting her cat too! I have been refreshing my Japanese, using an app on my phone called "memrise". I would recommend it. They offer other languages too! I've been studying on the train, car and before bed. I sleep in-between all that too. Now, for some iffy news, I seem to be coming down with something. I hope it eases up soon!